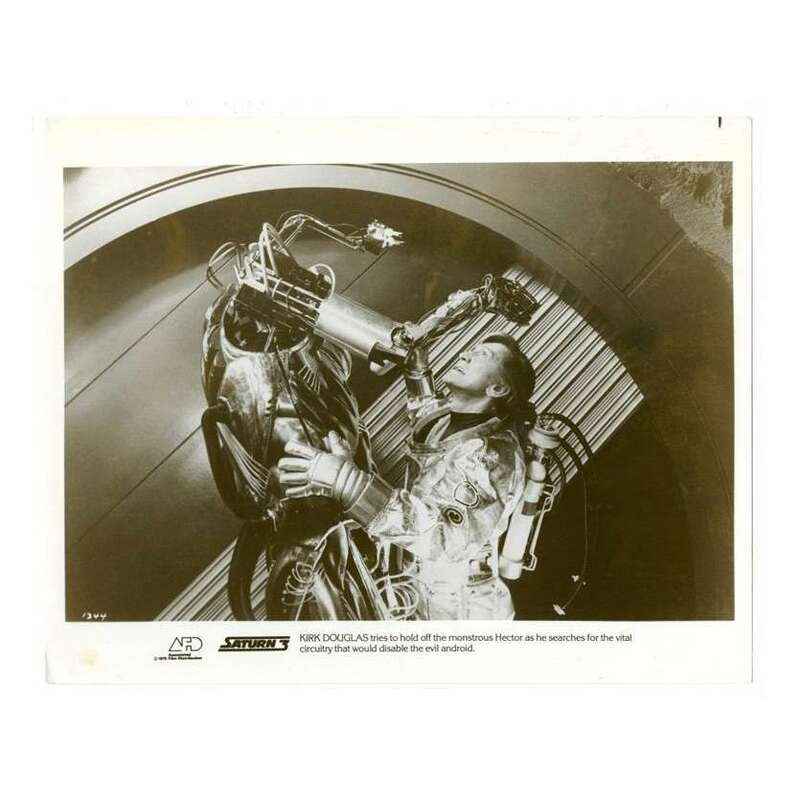 > Lobby Cards and Photos>SATURN 3 8x10 still '80 Kirk Douglas fights off the monstrous android Hector! SATURN 3 8x10 still '80 Kirk Douglas fights off the monstrous android Hector! 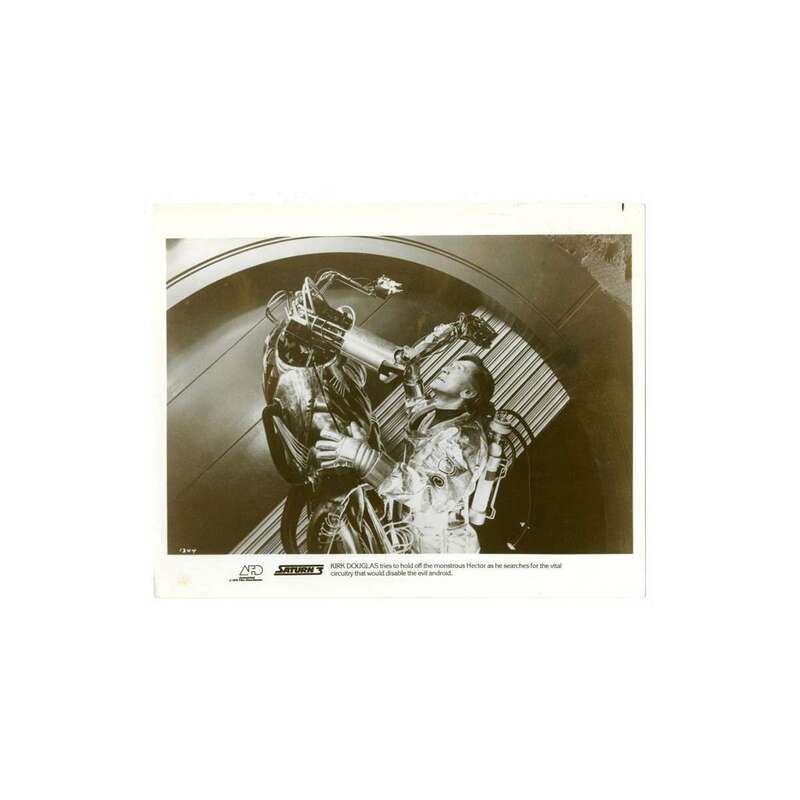 An Original Vintage Theater-Used 8" x 10" (8x10) Movie Still Condition: Very Good (C6) See our 10 GRADE SYSTEM Page for more information. Saturn 3 is a 1980 science fiction film directed by Stanley Donen, starring Kirk Douglas, Farrah Fawcett and Harvey Keitel.